Fishing License: 3-day license is the shortest license available and can be purchased by clicking here. It is called a Charter Pass or a code 79. 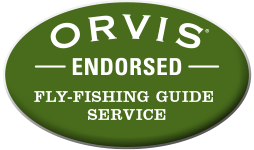 We have all the gear you will need on the boat (fly rods 9 and 10 wt, spin gear, leaders, tippets, flies and baits) so if you don’t have any or don’t want to travel with it we have you covered. Watch the video series on this page. Learning the ins and outs of the skiff and practicing the techniques used on the boat will help you become a more effective fisherman and have a better time on the water! Here's helpful guide on preping for your trip.